Going to the dentist is a bit of a double-edged sword. On one hand, it’s not necessarily people’s favorite thing ever to visit the dentist for a cleaning or check-up, but on the other hand, it is necessary to visit the dentist at least twice a year for good oral health. Depending on what your child’s perception and experience with modern dentistry are like, visiting your Thornton pediatric dentist might be a little daunting. Fortunately, that’s completely natural! That’s why Treasured Teeth approaches kid’s dentistry in a fun, relaxed and non-intimidating manner. To us, our goal is to provide your child with a pediatric dentistry experience that leaves them wanting to come back. Through a fun atmosphere (our giant pirate ship that kids are welcome to play on tends to be a big hit! ), kid-centered pediatric dentistry services and an overall family-oriented environment, Treasured Teeth strives to provide the best possible dentistry experience for kids in Thornton and Reunion, Colorado. Our goal is to provide your child with a fun experience full of positive memories and to provide you as a parent with an easy, stress-free experience. Everyone wins! 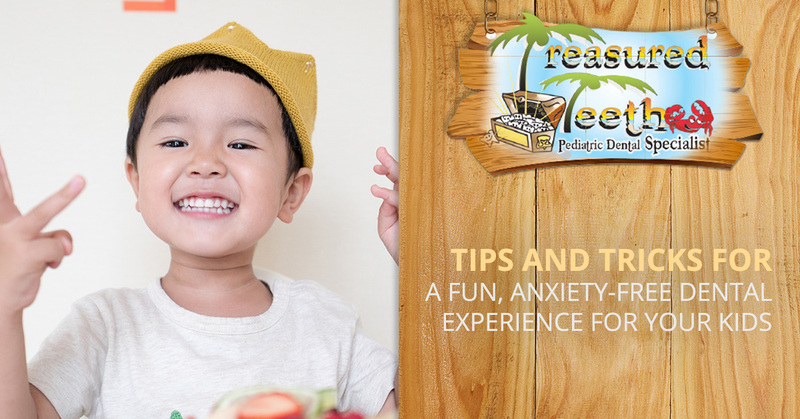 Below, we’re going to cover some brief tips and tricks to help alleviate any pre-dental anxiety that your kid(s) may be going through before heading into our Thornton pediatric dental office. If you have any questions about our pediatric dentistry practice or you’re curious about our services, Treasured Teeth is happy to help! Get in touch with us today. When communicating with your child, avoid using words associated with pain or unpleasant feelings. This is not to intentionally deceive your child in any sense, but rather, you simply want to set the expectation for a positive, enjoyable experience. Using safe and comfortable words like “clean, strong, and healthy teeth” should help alleviate some of your kid’s anxiety, and maybe even get them excited to come visit us! A go-to phrase that pediatric dentists tend to tell parents to tell their child is along the lines of “We’re going to check your smile and count your teeth!” That’s it. Sure, you might be omitting some information, but it’s also not necessarily incorrect information. Isn’t that one of the characteristic challenges of parenthood, anyway? Maintaining your composure and staying strong as a parent is another characteristic challenge of parenthood — especially young parenthood. An effective way to keep your child’s nerves to a minimum is to exhibit a calm, collected behavior when they’re fussing, whining, or even outright throwing a temper tantrum. From the car ride down to our Thornton pediatric dental office to the waiting room to the dental chair, you’ll want to be a smiling, comforting and reassuring parent the entire time. Holding their hand or giving them their favorite toy can also go a long way in calming their nerves or distracting them from thinking about the experience at hand. It’s true. Bribing your kids to get them to go to the dentist isn’t a healthy way to go about relieving their pediatric dental anxiety, and it might send the wrong message about why they’re going and what they’re getting out of the experience. Offering your kids candy as a reward might be more appropriate in a different context, but would that really make sense if you’re taking them to get their teeth cleaned and examined? We’ll let you make that decision, but in our admittedly-biased opinion, that seems pretty counterintuitive to us. Instead, consider using positive reinforcement! Be a wholesome parent. When your kids display good behavior, commend them for it. Setting expectations and teaching your children why dental care matters all starts in the bathroom at home. This is an investment in their future health and a reflection of your effectiveness as a parent. Helping them feel more comfortable about regular pediatric dental visits in the future, you’ll be setting up your child for future oral care success! Visit The Thornton Pediatric Dental Experts at Treasured Teeth! 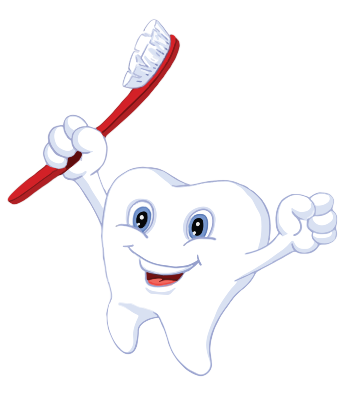 To us here at Treasured Teeth, nothing matters more than your child’s dental health! To learn more about our dental offices in Thornton and Reunion, contact Treasured Teeth today.